This upscale yet inexpensive item has a fun, dimensional feel with bold, vivid color options. 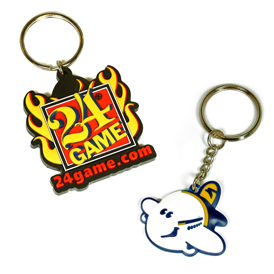 3D design makes images "pop" off the key tag. These rounded designs are sure to please every customer!